Saint Martin is an overseas collectivity of France. It occupies the northern part of densely inhabited Caribbean island and, in spite of its small area, has diverse interesting landmarks. Baye Rouge natural arch – natural arch which has been created by the wave action. 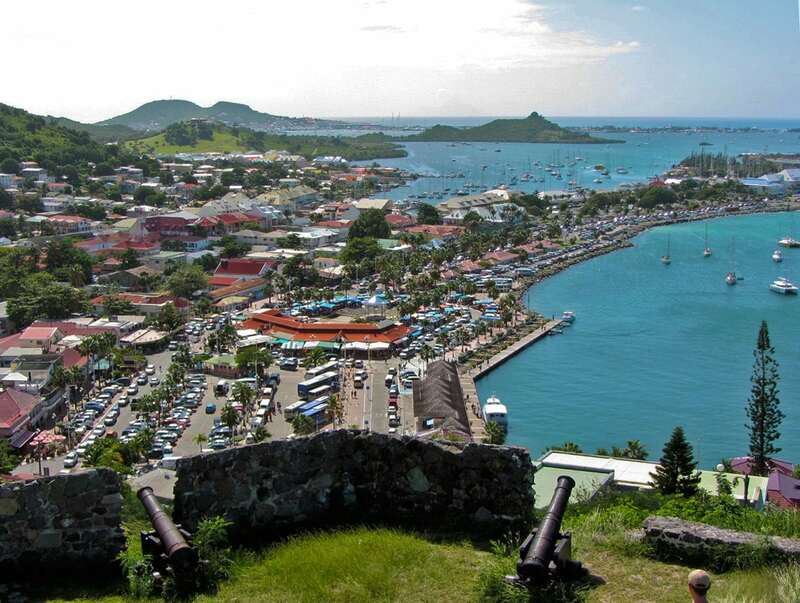 Fort Saint-Louis – largest historical monument in Saint Martin. Built in 1767. Grand Case – fishing village with many historical buildings. Small wooden buildings are painted in pastel colors. La Grotte du Puits de Terres Basses – comparatively large cave with hundreds of bats living in it. Le Trou de David (David’s Hole) – a former sinkhole at the sea, with two natural arches towards the sea. At calm weather one could swim into this sinkhole from the sea. Collapsed in December 2011. St. Martin Museum – museum of the history and culture of Saint Martin. Interesting is the archaeological exhibit. 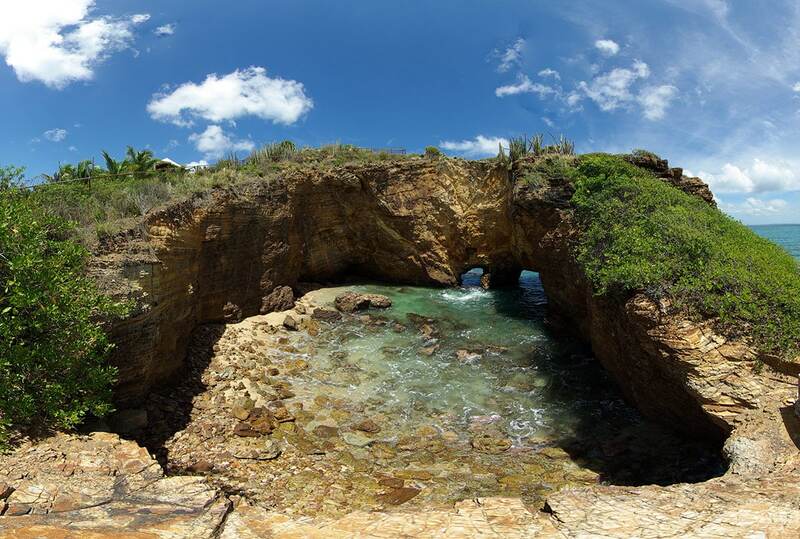 Until recently one of most interesting natural landmarks in Saint Martin was Le Trou de David (originally – Trou du Diable). Unfortunately this magnificent sinkhole collapsed. Does your idea of the perfect vacation include delicious food, spectacular beaches and exceptional shopping? If so, traveling to Sint Maarten is an excellent way to go. Separated by just a few miles and known as favorites of American travelers, the Caribbean islands of St. Maarten/St. Martin, St. Barthélemy (also known as St. Barth’s), and Anguilla couldn’t be more different. Dutch St. Maarten offers big resorts, extensive shopping, and vibrant casinos, while French St. Martin is a bit more low-key, with excellent dining options and smaller, charming hotels; both sides share excellent beaches and offer a wide range of outdoor activities.